Poland is a country of regions. Here you get information that is region speicific that will help you when you travel. Your view of Poland depends on the region(s) that you visit. Each has its own culture and history that is a result of Poland's tumultuous past. The most recent change was the move of borders West after the second world war. That left part of what had been Poland in countries to the East and took part of what had been Germany and made it part of Poland. These border shifts saw massive migrations of people. But enough stayed in place that their culture influenced, and continues to influence, Poland today. In addition to the differences because of the influence of genetic backgrounds, there is a big difference between the people of the countryside and people in the cities. In reality, they are almost two different peoples and definitely two different societies. In this page we try to give you some information about each of the regions and some helpful tips that is related to regional matters. Please note that we have videos about each of the regions. You are invited to watch them on our YouTube Channel. Additionally you get some information about how to get around Europe. We do that simply because many people visit Poland as part of a European tour and integrating information that they can use in their travel plans is important. You can find maps and information that will help you with your travel plans and help you to enjoy your stay in Poland. The City of Oswiecim is the proper name but for many the city is known as Auschwitz. It is the most trafficked tourist destination in Poland. Here is some background information about the city and how to get there. Boleslawiec is in the South Western region of Poland called Dolnoslaski. It is the center of manufacturing of Polish pottery and Polish ceramics. Boleslawiec pottery and ceramics are world famous for their quality. The City has become a Polish tourist attraction because it has most of the factories in Poland that manufacture Polish pottery. Krakow is one of the most popular tourist destinations in Poland. It is a beautiful city with a remarkable old town that attracts visitors from all over the world. It has become one of the most popular tourist destinations in Europe. Lodz is Poland's second-largest city. In spite of its size, for many years it languished in the shadows of Warsaw. In its new administrative borders from 1999, the Lodz voivodeship has an area of 18.200 - km2 and a population of 2.7 million, 64% of Lodz lives in urban centres. It is centrally and well located . Investors seeking good locations for development of their companies can invest in industry, food processing, trade, tourism, ecology, real estate, and technology. Poznan is a big city and there is a lot of information here that you may want. To make it convenient for you, you will find a general information about Poznan on this first page with links to more specific sections. The pages are sized so that you can print them and put them in a folder or loose leaf binder. This page contains a series of maps that concern Poznan. Maps on the Internet are very nice to use for general work, but if your are coming to Poznan you may wish to have a printed map delivered to you before you come to Poznan. In this way you can prepare and you will be not be confused when you get to Poznan. To get a paper map of Poznan and road atlases for Europe, Poland, and Poznan, go to this link. Polish Maps. According to widely held opinion, Sandomierz, Poland is one of the most beautiful towns in Poland and is often compared to some of the more beautiful towns in Italy and France. Its history dates it before the 10th century. It was rebuilt in the 13th century after having been destroyed by the Tartar hordes that crossed Europe at that time. Wroclaw is the economic, cultural and intellectual capital of Lower Silesia. It is located in southwestern Poland about 120 kilometers from the Czech and 160 kilometers from Germany. Wroclaw is supported by an international airport, railways, highways and river ports. With a population of about 700,000 it is has active and prosperous medium and light industry, trade, and service sectors. It is also a regional education center with eight educational institutions located in the city. It has nine museums, several theaters and music centers, and a botanical garden and zoo. About Wroclaw, Poland Summary of Wroclaw, Poland Page - This page gives you an overview of information about Wroclaw, Poland. If you are interested in a quicklink to a place where to can get travel information to visit Wroclaw, Poland, please use this quicklink. Poland City information on the web is difficult to use if you are looking for travel information. Here you are taken to pages that give you that information necessary to get some basic information about the city, how to get there, where to stay and what to do. This Poland City series is written as much as an executive brief so that you can quickly find the important information. The Baltic town of Wladyslawowo, Poland is the junction point on the road from Gdansk to the tip of the Hel Peninsula. From Wladyslawowo, Poland one can either turn right at the rondo and go to the town of Hel or turn left at the rondo and travel along the Western part of the Baltic coast of Poland where you will find many other small vacation and fishing villages. 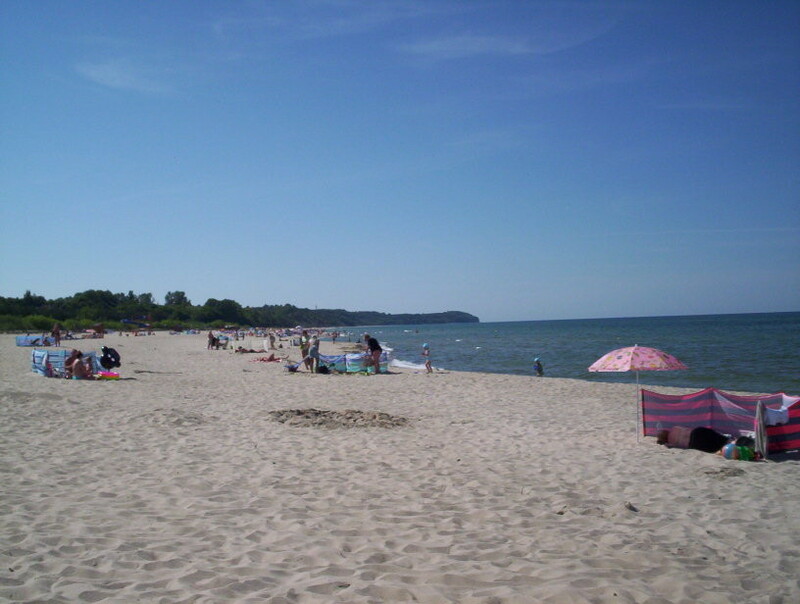 A small town on the Baltic Coast that is a favorite vacation spot for people from Poland. The beaches are wide and clean and the Jastrzebia Gora itself is pleasant and quiet. Poland is a country of regions with each of these regions having its own definite character and definite history. Maps of Poland are found through this page. Here you are directed to online maps of Poland, cultural maps of Poland, road maps and city maps. There are many maps of Europe on line that you can use. You can see an online map of Europe here. If you are traveling, however, a map of Europe in book or CD form may be more appropriate. Here you can see some on line Maps of Poland and you can get information about getting maps of Poland sent to you by mail. Summary of Maps of Eastern Europe Page - This Maps of Eastern Europe Page provides you quicklinks to places that you can get maps of Europe and Eastern Europe. For current weather conditions in Poland for various cities, go to this Poland Weather Conditions By City link. You can get the current conditions for major cities in Poland by putting your mouse over the name of the city that is below the maps. This Poland weather page gives you information about current weather in Poland, Polish weather forecasts and general information about seasonal weather in Poland. Masuria (Mazury) is a historical and ethnographic region in northern Poland, encompassing the Masurian Lake District, a vast land subdivided into several smaller lake districts like the one around Suwalki and Augustow. Mazovia (Mazowsze) is a historical and ethnographic region in central Poland, straddling the Vistula River. The Mazovian Lowland is one of Poland's most extensive geographical regions. Pomerania (Pomorze) is a historical and geographical region in northern Poland along the Baltic coast. It is divided into West Pomerania (with Szczecin) and East (Gdansk) Pomerania. Geographically, it encompasses two different landscape belts: the coast and, more up-country, lake districts. Podkarpacie (Carpathian Foothills) is a region encompassing the south-eastern fringes of Poland, at the foot of the West and East Carpathians. Touristically, it is one of the country's most attractive parts. Visitors come here mainly for the mountains - the Bieszczady and the Beskid Niski which make up the East Beskids. The Bieszczady is more popular, having most tourist trails in the region. For centuries, this land was contested by Poles and Germans. As a result of the Second World War, lost by Germany, the entire region was given to Poland. Silesian Germans were deported and replaced mainly by the Poles who had to leave their homes in eastern Poland, annexed by the Soviet Union. Malopolska (literally, Little Poland) is a historical and ethnographic region in south-eastern Poland. Geographically, it encompasses the basin of the upper and partly middle Vistula with most of the Polish Carpathians, the Sandomierz Basin, the Oswiecim Basin and the Malopolska Upland. Use the information that you find here to make your trip to Poland more enjoyable. Polish maps can be obtained for most major cities and regions in Poland. This page lists some of the most popular selections that are requested by our visitors. Some of the maps are in Polish and some in English. The tourist maps are generally in English. The selections here, however, are chosen because they are maps that are useful to the international traveler.